ST PETERSBURG, Fla. (January 29, 2019) – Single-day tickets to the 2019 Firestone Grand Prix of St. Petersburg, set for March 8-10, are on sale tomorrow (January 30) at 10 a.m. ET online at gpstpete.com or by calling 888-476-4479. A weekend 3-Day General Admission ticket offers the best value at just $55. Single-day general admission tickets are $20 for Friday, $35 for Saturday, and $50 for Sunday. A single-day Grandstand Seat is available for $100 in upper rows and $75 in lower rows. 3-Day Grandstand Seats are $135 and $105 for upper and lower rows respectively. Junior pricing is available for ages 12 and under. Visit gpstpete.com for all available ticket options including Firestone IndyCar Paddock Passes. The on track action will feature 11 different races headlined by the NTT IndyCar Series’ 110-lap feature on Sunday, March 10. Additional support series on the weekend schedule include all three steps of Road to Indy Presented by Cooper Tires’ open-wheel driver development ladder and two series from the World Challenge Championship, North America’s top production car-based racing championship. All five of these support series will hold doubleheaders on the 1.8-mile, 14-turn temporary waterfront street circuit in downtown St. Petersburg. The 7th Annual Modern Business Associates 5K Run on the Firestone Grand Prix of St. Petersburg Track is set for March 8, at 6 p.m. ET. Proceeds from this run or walk event benefit the Police Athletic League of St. Petersburg. Registration is open now at gpstpete5k.com. The complete weekend schedule will be released soon as well as additional fan attractions and exhibits planned for SpeedZone near Turns 5 and 6 and Gasoline Alley just outside pitlane. The 15th annual Firestone Grand Prix of St. Petersburg is a race event held during Florida’s spring break season each March. 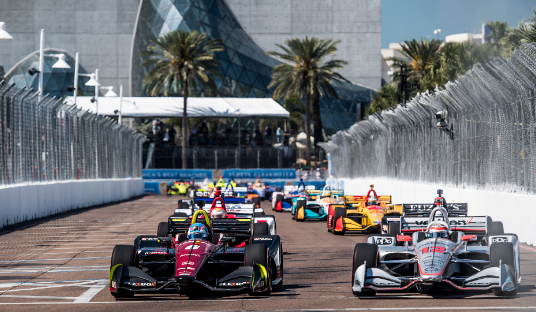 As the NTT IndyCar Series’ season-opening race for the ninth consecutive year, St. Pete is a destination city hosting this annual motorsports tradition and offering a festival atmosphere with its downtown location. The temporary circuit is a 1.8-mile, 14-turn configuration using the streets circling Pioneer Park, the Duke Energy Center for the Arts, The Dali Museum and extending onto the runways at Albert Whitted Airport, which overlooks the waterfront of Tampa Bay and picturesque St. Petersburg Harbor and Marina. 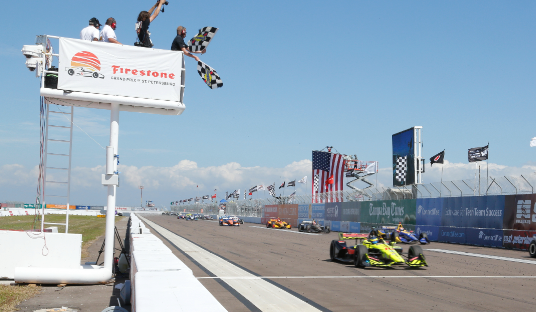 Firestone Grand Prix of St. Petersburg is owned and operated by Green Savoree Racing Promotions, which also promotes three additional IndyCar races, Honda Indy Toronto (July 12-14, 2019), The Honda Indy 200 at Mid-Ohio (July 26-28, 2019) and Grand Prix of Portland (August 30-September 1, 2019).